We’re almost halfway past the year 2009 – and when you look back at the list of the New Year’s resolutions which you made last January – how many items have you already crossed out? It’s as good a bet as any that the resolution of losing weight, exercising more or living a healthier life is part of the list that you made. How are you doing so far? If you haven’t made any progress in this department yet, don’t lose hope because it’s never too late. You still have a few more months to go for you to reach your weight loss and fitness goals. Why It Pays to Stick to a Healthy Weight Loss Routine? Before enumerating the many ways that you can lose weight the healthy way, let us first take a look at why this feat is important in the first place. You may have noticed how some overweight individuals who have succumbed to leading a sedentary lifestyle have problem with losing the excess pounds and keeping them off for good. What they do is subscribe to the latest fad diet, rigorously start an exercise routine which they are unable to keep up in the long run, or they purchase an expensive exercise machine which will just gather dust in its storage space for lack of use. So, basically the problem lies in not having enough motivation to finish the weight loss program that you started. Remember that when you choose to start with a diet plan, it should not be one of those crash diets which merely allow you to lose all the water weight that you have and even lose muscles later on. Instead, you should go for a type of diet that will teach you how to lead a healthier lifestyle in terms of your food consumption, as well as your exercise and fitness routine. By doing so, you will not just lose all the unwanted pounds that you gained over the years, you will also have a leaner body, stay away from the medical conditions associated with being overweight, and have a healthier lifestyle overall. You can probably create a weekly, bi-weekly or even a monthly menu of the meals that you are going to have. When you plan your meals in advance, you can really think about which food items are good for your health and will not put a dent in your dieting plan. Aside from being contributing to the fact that you will reach your weight loss goals much quicker, planning your meals in advance is also a more cost-effective way of creating a budget for your food expenses in the household. This is something that a lot of people are guilty of. Did you know that most of the common ailments and diseases that people experience on a daily basis come from consuming too much processed foods? As much as possible, you should fill up your grocery cart with items from the fresh produce section. Choose organic fruits and veggies and whole grains. When planning your meals, include a lot of natural instead of processed ingredients and you’ll be on your way towards losing weight the healthy way. Let’s say that you are trying to lose 20 pounds and you aim to reach that goal by always skipping on breakfast. This is not a good idea at all because when you don’t eat the most important meal of the day, you will end up overeating during lunch or dinner. It’s a much better option to eat smaller meals, more frequently throughout the day. 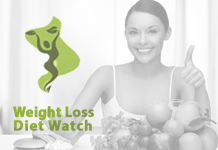 As far as reaching your weight loss goals is concerned, this is a great practice because you will only be consuming the calories that your body can burn – and you will not have the tendency to gain more weight as compared to going on an eating binge during lunch or dinner. This technique works best for those who have a nasty habit of skipping breakfast and eating a lot during lunch or dinner. Slowly chew your food and savor its taste. Stop when you know that you are about to get full. When you devour your lunch within a span of five to ten minutes, there would really be a huge possibility of your overeating because it takes a while before the food settles in your stomach. This advice is especially helpful for all the working moms out there. 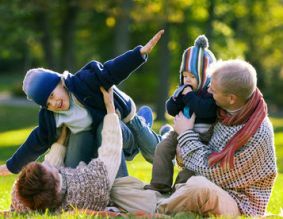 When you are juggling your time between your work, taking care of the kids and attending to your social life – it is quite difficult to find the time to actually work out. As such, it pays if you will just keep a close watch on your diet. 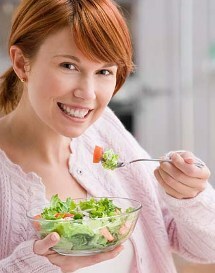 Always apply the rule of eating smaller meals, more frequently throughout the day so that you can keep your energy up. 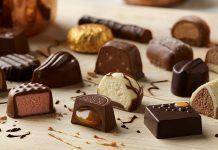 For the times that you will not be able to prepare a healthy meal for yourself, always keep snacks handy – and chocolate bars do not fall under this category. Instead, you should stock up on cereals stored in ziplock bags; string cheese; a piece of fruit; a small bag of dried fruits; healthy snack bars or granola bars; a bag of soy crisps and a serving of yogurt. Whenever hunger strikes, you can take out one of these healthy snack items from your bag to get through until it’s time for your next light meal. Just like planning your meals in advance, keeping a dietary journal will allow you to keep track of your calorie consumption. Once you look back at what you have eaten for the past week or so, you will see which items you should cut back on and eat more of – and apply it for your diet plan for the following week. 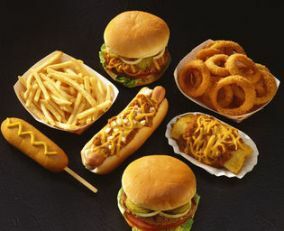 Fast food consumption is one of the biggest culprits when it comes to the reasons why a lot of Americans become overweight. If you do have to eat out, choose to have a serving of salad and a turkey sandwich – and skip on upgrading to large servings. Whether you have a diet-focused weight loss plan, an exercise-focused weight loss plan or if it’s a combination of both, don’t forget to keep yourself hydrated during the process. Perhaps the number one mistake that dieters make is setting unrealistic goals for themselves. If you are on a quest to shed off those excess pounds for good, start with a smaller goal. Let’s say that your aim is to lose 50 pounds so that you can reach your ideal body weight. Work on losing the first 10 pounds during the first few weeks of your diet rather than having a goal of losing the entire 50 pounds within an unrealistic time frame. You will feel a sense of accomplishment once you have managed to lose the first 10 pounds that you will be inspired enough to work on shedding the next four 10-pounds off of your frame. 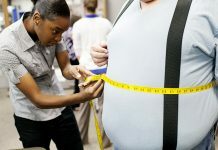 Finally, the golden rule of “No pain, no gain” still applies if you would like to lose weight the healthy way. After following the aforementioned tips when it comes to losing weight through your diet, all your efforts should be combined with some good old physical exertion. And you don’t even have to pay for an expensive gym membership, either. Just make sure that you are always on the move. Don’t drive when you can walk, take the stairs instead of the elevator, find the time to jog in the morning, take up a sport or tire yourself by playing with the kids in the park. 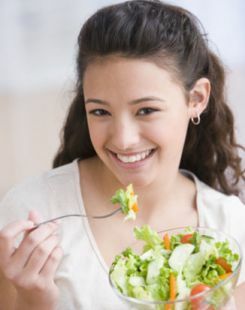 By following these healthy ways to lose weight, you will be able to reach your fitness and weight loss goals right before the year 2009 ends. Next articleVegetarian Diets Are Great For Weight Loss – But How Do I Start?